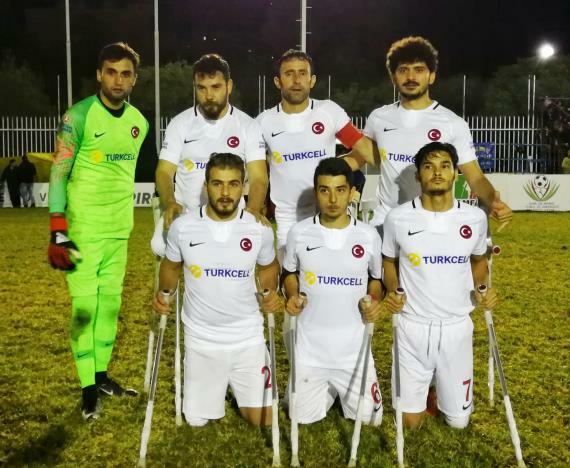 Turkey's National Amputee Football Team sponsored by Turkcell, lost 5-4 in penalty shoot-outs against Angola at the final of 2018 Amputee World Cup in San Juan de Lagos, Mexico. Regular time of the final match ended with a goalless draw. Both teams failed to score a goal at the extra time and the winner of the World Cup was decided by penalty shoot-outs. Turkey began the tournament with a 4-1 win over Kenya in Group F. After a 3-0 default win against Liberia, Turkey completed the group stage at the first place undefeated with a 5-1 victory against the United States of America. Round of 16 started off by a 4-0 win over Republic of Ireland and the winning streak continued in the quarter-final with a 5-1 victory against Russia. Turkey successfully advanced through the final with a triumph over hosts Mexico by scoring 4 goals without conceding any at the semi-final. 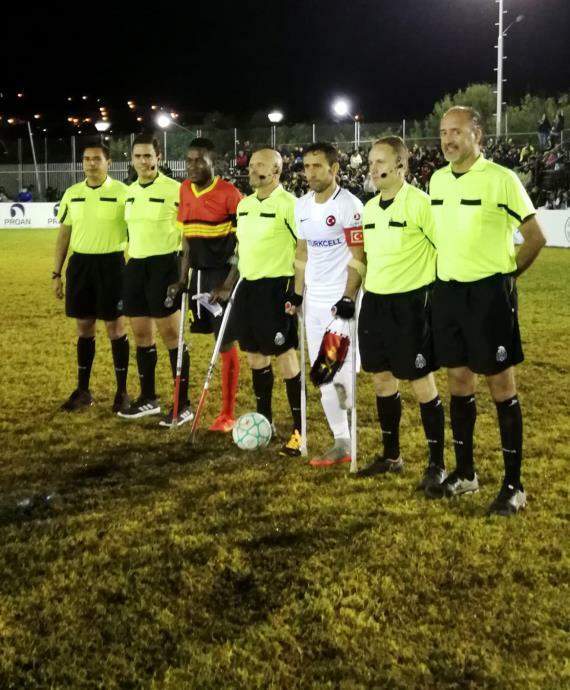 The final match against Angola ended with an unlucky 5-4 defeat at the penalty shoot-outs and Turkey came second at the 2018 Amputee Football World Cup. Turkey scored 22 goals and conceded only 3 goals throughout the tournament. 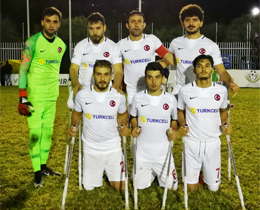 Rahmi Özcan was the top scorer of Turkey's National Amputee Football Team with 5 goals.